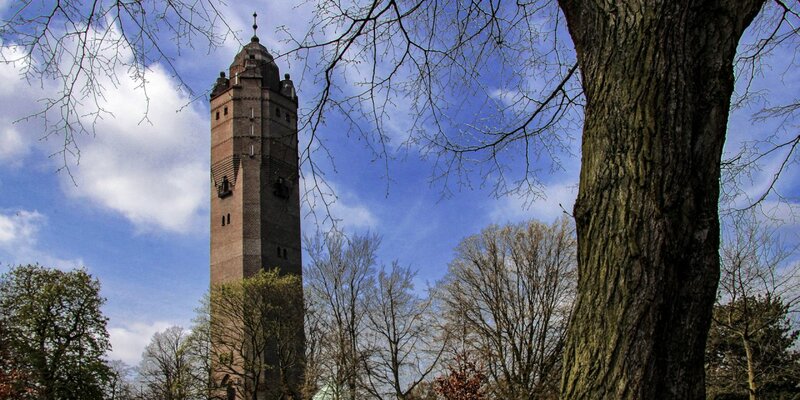 Smygehuk is the southernmost tip of Sweden and is located near the small town Smygehamn, about 15 kilometers east of Trelleborg. 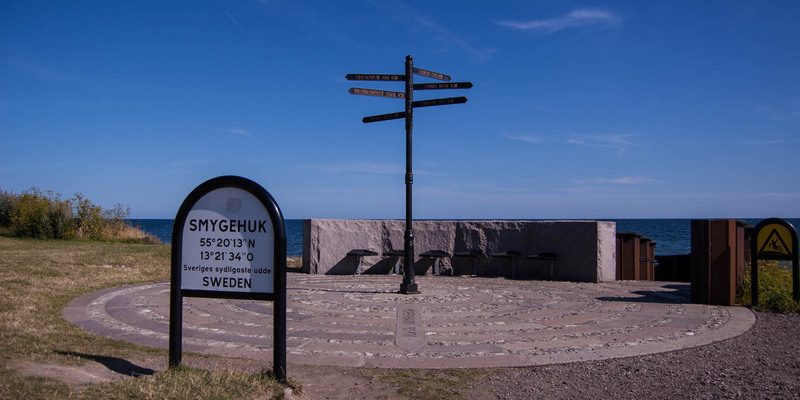 Starting from the marking, the distance in a straight line is 1,572 km from Smygehuk to Treriksröset, Sweden's northernmost point. A compass rose and a sign indicates the distances to some other well-known cities in the world. The life-size bronze sculpture Famntaget (The Embrace), which also is on the headland, was created in 1930 by Axel Ebbe. Birgit Holmquist, the grandmother of US actress Uma Thurman, was the model for the statue. The small harbor was originally a limestone quarry and became a real harbour after the abandonment of the quarry in the 1920s. As witnesses of the former lime production in the area, you can visit a restored lime kiln, which stands between the headland and the former storehouse Köpmansmagasinet. Slightly inland there are more of those old kilns near the village Östra Torp. 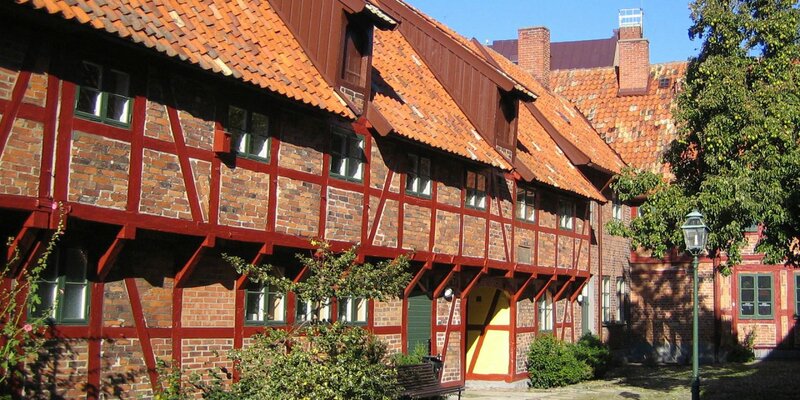 The old storage house Köpmansmagasinet comes from a time when Smyge was a rather important export harbour. 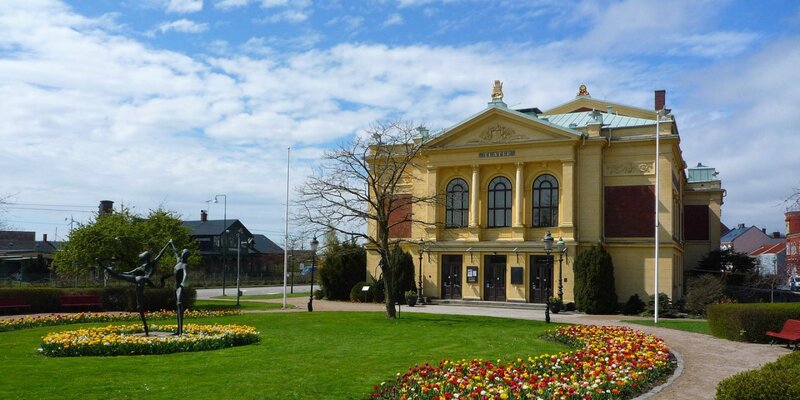 Today it houses the tourist office of Smygehamn and an art hall. Approximately 500 meters west of the port is the old lighthouse Smygehuks fyr. From platform of the lighthouse you can enjoy a beautiful view of the sea.